50 beads in each 2 inch tube. 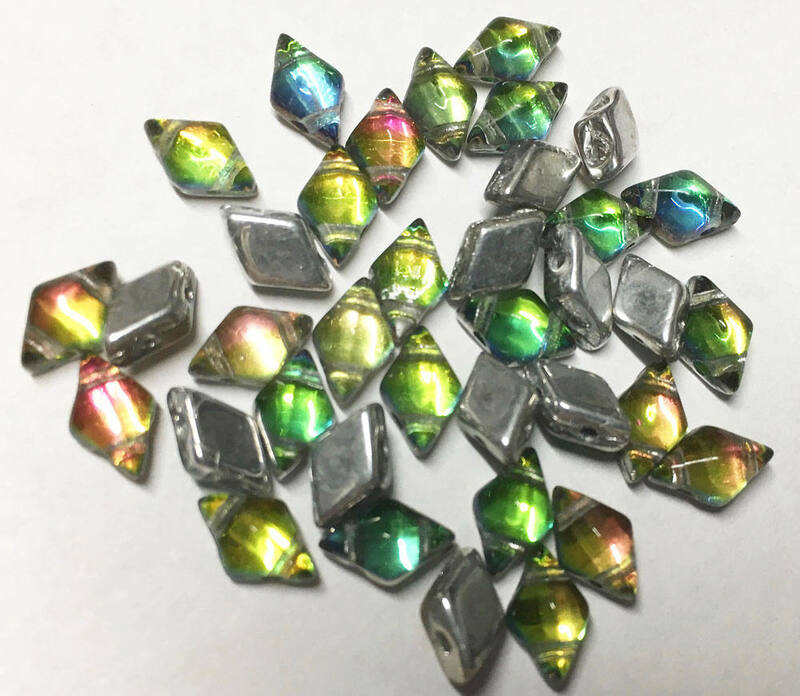 A metallic silver coating is applied to one side of the new Prismatic DiamonDuos. 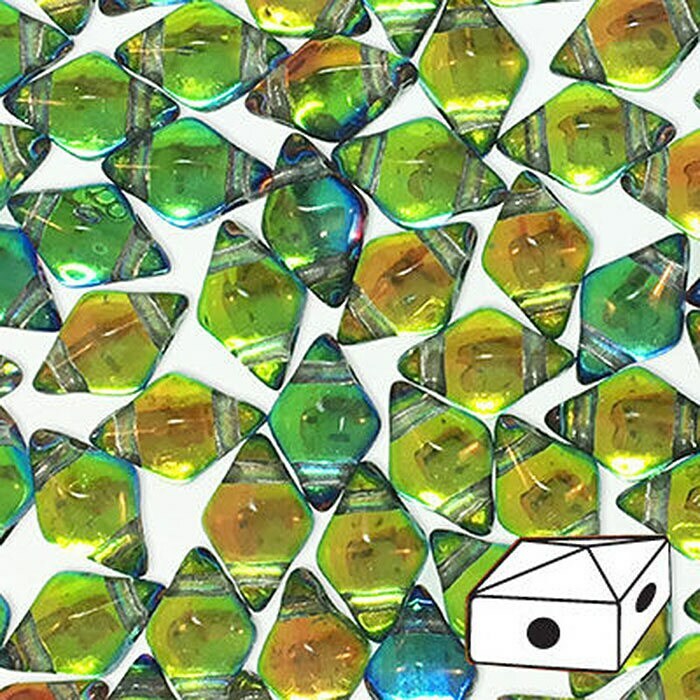 The other side has a prism effect which shines with a dazzling array of hues. DiamonDuo beads have parallel holes which are perfect for bead weaving and multiple thread passes. Versatile diamond shape pairs well with other 2-hole beads and seed beads!